Newly added features include a new expanded subarea A sparrow habitat ("AX"), new daily statistics (mean water depth and water depth standard deviation), new display surfaces (4 year hydroperiod and hydroperiod standard deviation), new annual summary statistics (4 year hydroperiod and hydroperiod standard deviation), and some fun new widgets: check out the popup statistics graphs on the Summary Statistics tab linked to the column headers. 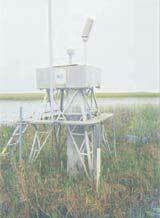 Take a look at the updated CSSS Viewer! 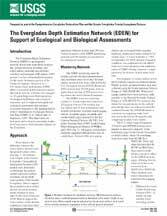 The Everglades Depth Estimation Network (EDEN) is an integrated network of water-level gages, interpolation models, and applications that generates daily water-level data and derived hydrologic data across the freshwater part of the greater Everglades landscape. 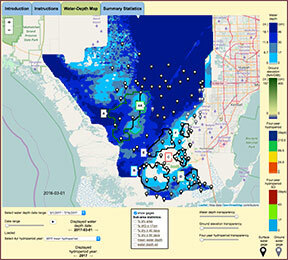 The Comprehensive Everglades Restoration Plan (CERP) through the U.S. Army Corps of Engineers and U.S. Geological Survey Greater Everglades Priority Ecosystem Sciences provides support for EDEN and for the goal of providing consistent, documented, and readily accessible hydrologic and ground-elevation data for the Everglades.